Led by researchers at the Advanced Science Research Center (ASRC) at the GraduateCenter of the City University of New York (CUNY), the study “PRMT5-mediated regulation of developmental myelination” was published in the journal Nature Communications. Nerve cells communicate with each other via electrical impulses, transmitting messages from the brain to the rest of the body and vice-versa. To do so, they need the myelin sheath that surrounds their fibers (axons) to protect them from damage and to allow a healthy flow of electrical pulses. Oligodendrocytes are the cells responsible for producing myelin in the central nervous system (brain and spinal cord). Because of this crucial role, their number and activity are tightly regulated. 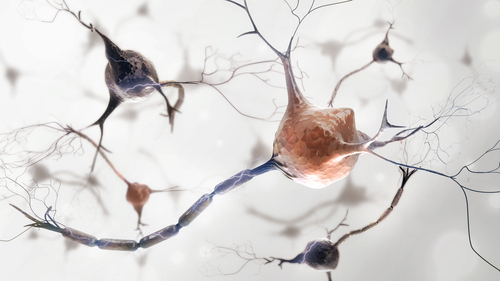 Previous studies demonstrated that the PRMT5 enzyme is present in the brain and enriched in oligodendrocytes and their progenitor cells — cells in an early and immature state that have yet to specialize. But PRMT5’s role in these cells was unclear. The researchers genetically engineered mice so that the PRMT5 gene in their oligodendrocyte lineage cells was absent. They found the animals had considerably less myelin in their spinal cord and brain, and a lower number of mature oligodendrocytes. Their lifespan was also significantly shorter than healthy control mice. To further understand PRMT5’s role in the regulation of oligodendrocytes, the team manipulated the gene in cell lines to prevent the enzyme’s production. Once again, it confirmed that loss of PRMT5 in progenitor cells affected the number of mature oligodendrocytes. The enzyme’s lack allowed oligodendrocytes to be produced in typical abundance, but not to mature or develop as necessary. “We discovered that progenitor cells lacking PRMT5 function essentially commit suicide while they are in the process of transitioning into myelin-forming cells,” Patrizia Casaccia, MD, PhD, the study’s senior author and ASRC founding director, said in a news release. Loss of PRMT5, the researchers found, induced major changes in the epigenetic landscape of the cells, meaning in a core mechanism that defines which genes are silenced and which are active (i.e., making products like enzymes or proteins). Importantly, the scientists found these changes to be mediated by the activity of another enzyme, one called histone acetyltransferase. At this point, the team wondered if blocking histone acetyltransferase (using inhibitors) might reverse the damaging processes triggered by the loss of PRMT5. Exposing oligodendrocytes to a chemical inhibitor of PRMT5 again led to a changed epigenetic landscape, as seen previously. Exposing them next to a histone acetyltransferase inhibitor reversed these induced changes, allowing the cells’ genetic pattern to return to normal. Pharmaceutical compounds that work as PRMT5 inhibitors, like GSK591 used in this study, are in early research as a potential treatment for certain brain tumors. Given the results seen here, this possibility concerned the researchers. Overall, “[t]his study reveals a biologically significant role for PRMT5 in oligodendrocytes biology,” the researchers wrote. It demonstrated the “existence of an important cross-talk” process that ultimately regulates the “differentiation and survival” of these crucial cells.